Less than three years into his career, Khalid has already become a favourite among Australian audiences. The singer and songwriter from El Paso, Texas appeared on three songs in each of the last two triple j Hottest 100s. His 2017 breakthrough hit, ‘Young Dumb & Broke’, landed at #13 while the Billie Eilish collaboration, ‘Lovely’, reached #17 in the youth broadcaster’s latest poll. Part of Khalid’s appeal is his versatility. While best known for down tempo and somewhat optimistic R&B ballads, his nascent discography also includes folkie deviations akin to Ed Sheeran, reggaeton dance jams and vintage club R&B. His voice is equipped for such genre-hopping, regularly toggling from a reflective baritone to a sweetly melodic tenor. Khalid’s thriving popularity is indicative of the growing hunger for pop music with a resonant emotional depth. His lyrics often remark on the perversions of technology-assisted communication and pay heed to the psychological struggles that come with growing up. Khlaid has just released his second album, Free Spirit, and announced an Australian tour for November. So, here are six essential tracks to become familiar with while you’re getting stuck into the new album and ahead of the El Paso artist’s return to Oz. The chorus’s concluding line – “I don’t need nothing else but you” – affirms the singer’s affection while also implicating smart phones and social media for having a negative impact on romance. Recorded between Atlanta and El Paso with Syk Sense and various other producers, ‘Location’ is a slice of breezy and uncluttered pop/R&B. I first heard ‘Young Dumb & Broke’ after a woman requested it while I was DJing in a London club. I was concerned it didn’t have enough oomph to sustain dance floor momentum, but she was adamant it’d go down a treat. I was very soon eating my words. The song has a way of transfixing listeners. It’s wistful, restrained and exceedingly catchy. Although Khalid was just 19 when it came out, ‘YD&B’ feels like a valedictory to his days of youthful abandon. At the very least, he can’t have stayed broke for long after its release – it’s so far achieved 6x platinum certification in Australia and 4x platinum in the USA. Elton John is a fan too, releasing his own version in late 2018. 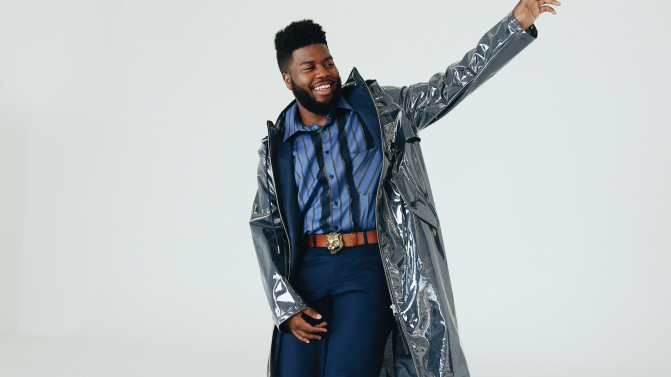 Khalid teamed up with fellow Gen Z wunderkind Billie Eilish on a contribution to the 13 Reasons Why soundtrack. Apt for soundtracking a teen drama series, ‘Lovely’ is a sweeping, violin-toting ballad with production and co-writing input from Eilish’s brother Finneas O’Connell. This non-album single hints at a possible sliding doors scenario where Khalid is a leading exponent of party-now, worry-later R&B. ‘OTW’ sees him link with a crack crew of nu R&B singers and producers to create a slinky summer pop song. The track’s producer, Nineteen85, is one half of Canadian duo Dvsn and so knows his way around a vintage synth hook. A firm highlight from Khalid’s back catalogue, ‘OTW’ borrows from the past without getting bogged down in nostalgia. In his short career, Khalid hasn’t been dillydallying when it comes to collaboration. 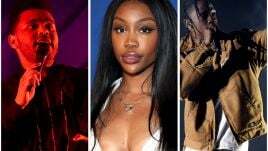 He’s appeared on songs by Logic, Calvin Harris, Marshmello, Lorde, Benny Blanco and Shawn Mendes, while Free Spirit features a guest spot from John Mayer and a song penned by Father John Misty. Given his eagerness to work with just about anyone, the Empress Of-duet ‘Suncity’ shouldn’t have come as a surprise. Perhaps what’s most surprising, however, is the duo’s adoption of springy reggaeton production. The lyrics are divided between Spanish and English and Catalan artist Rosalía shows up to provide extra backing vocals. A highlight from the EP of the same name, ‘Suncity’ seems destined to gain more devotees with time. For the lead single from Free Spirit, Khalid partners with Guy and Howard Lawrence, aka Disclosure. The UK siblings have been recalibrating of late. 2015’s Caracal was a significant misstep, but last year’s Moonlight EP evoked Disclosure’s earlier ebullience and they carry that momentum over to ‘Talk’. 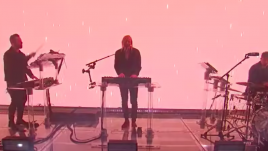 ‘Talk’ echoes the new album’s title with agreeable synths and smooth dance rhythms. The Lawrence’s don’t try to steal the spotlight, however, giving Khalid plenty of room to show off his Sprechgesang baritone, honey-sweet tenor and nimble falsetto. ‘Free Spirit’ is out now, listen here. Khalid will return to Australia at the end of the year for his first nationwide tour. Head here for dates.